The Wanderers Rugby Community was established in 2008 to assist our great club in many facets. 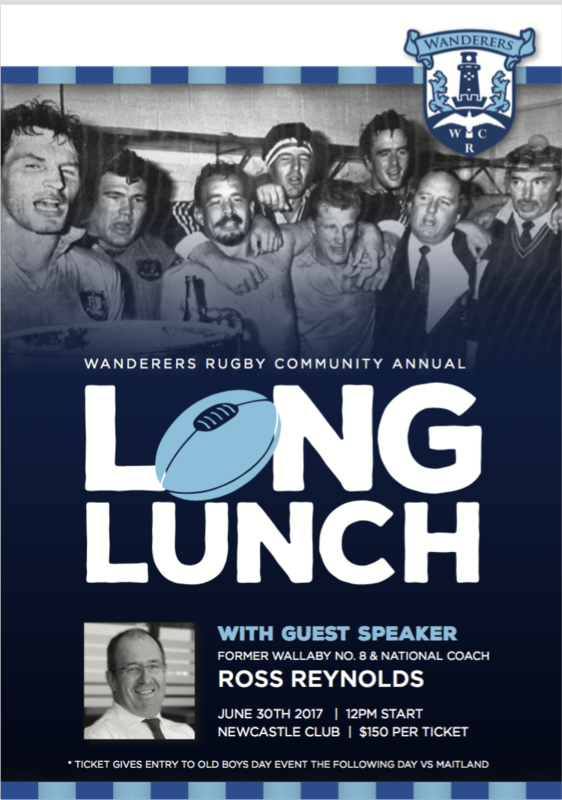 The WRC is a great way to stay engaged with the Wanderers as an old boy where ever you are in the world, and the annual Long Lunch is an ever sought after ticket every year. The WRC help financially with operational functions, assisting juniors to reach their higher level aspirations and even as mentors to players and members of the Wanderers family. 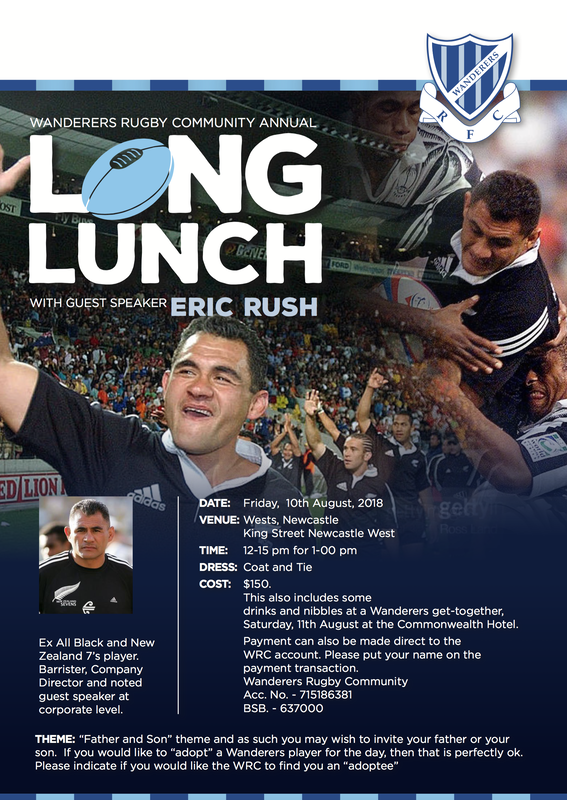 Wanderers are famous for their old boys network not only around the area but around the world and the WRC is a major reason for its great success. The WRC also has an excellent success rate in helping the club place young and new players in employment opportunities.